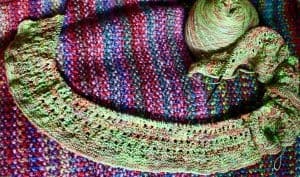 There are a number of factors that make a knitting or crochet pattern “good” in my opinion, but mostly, I love when a design and pattern are really well thought out and the structure of the garment reflects this. Yes, a pattern should be well written, without errors, make a nice design and be printed in a format that makes it easy to carry around with a WIP. But the discover-factor is what makes a pattern good and enjoyable! When I first started knitting socks, certain aspects of sock design and construction became more and more apparent. The heel was usually worked on half of the stitches, or the ease with which I could put on a hand-knit sock was largely due to the height of the side gusset and how tight the bind-off on the cuff was. 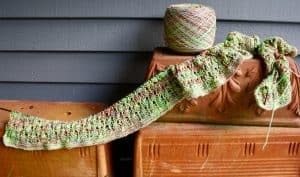 For each new sock design I knit, I learned more and more about what works and what doesn’t and that constant discovery is what makes for a good pattern in my book. 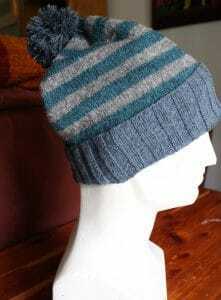 That recently happened with the hat pattern by Eric-Jon that I test-knit for him. 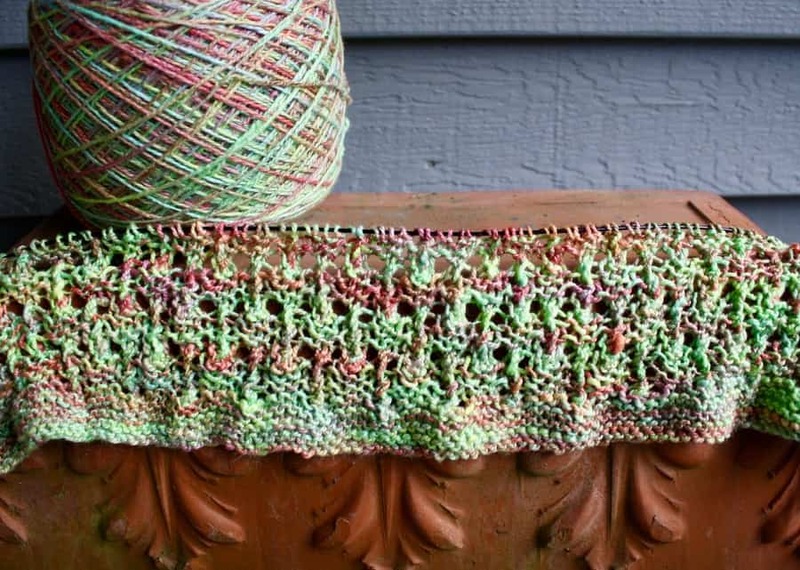 I wanted to see what the design would look like in four different bulky yarns and so I knit it four times. 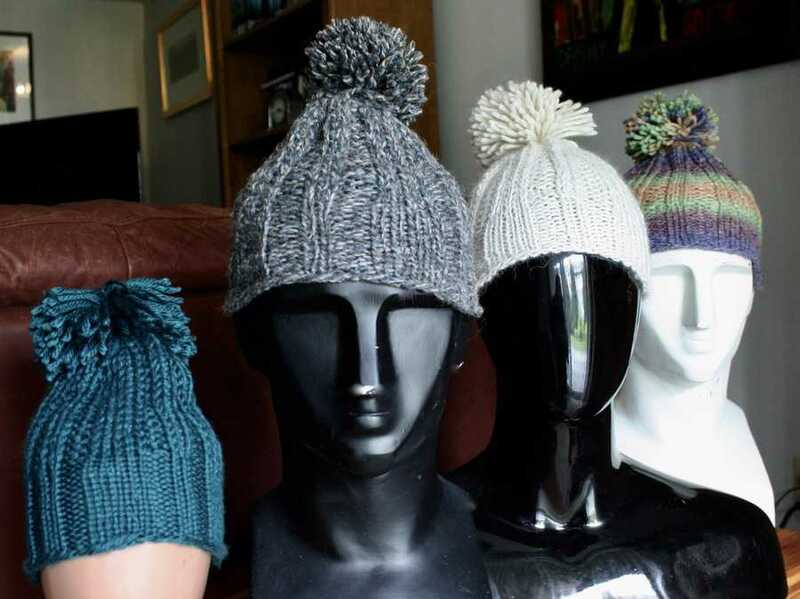 And each time I knit it, i discovered something clever or well-thought out about the design that I hadn’t noticed in my previous workings of the pattern. 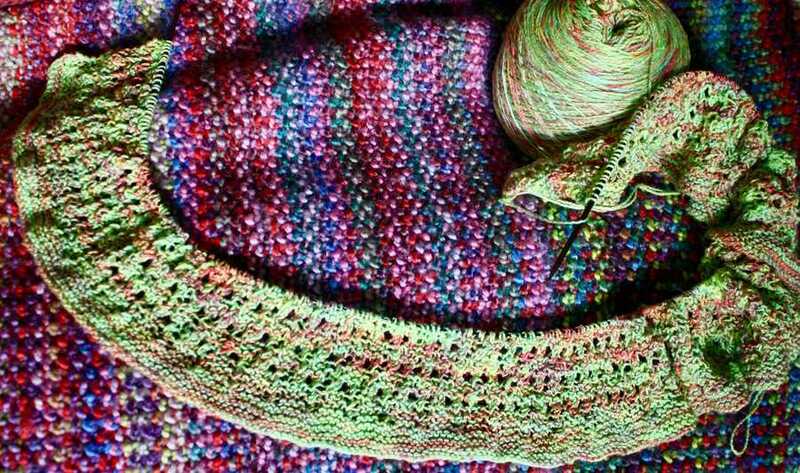 This won’t be a spoiler…I would highly recommend you try out The Super Chunk pattern by Eric-Jon and see if you enjoy it as much as I did. It’s only $2.50 for the pattern, and Eric-Jon is a budding new knit designer who I think deserves my support…hopefully yours too. I finally finished the Chalbi hat. This pattern was perfectly fine and the resulting hat is very nice, but I didn’t enjoy the knit very much at all (except for the yarn…I LOVED working with this yarn and want to again). 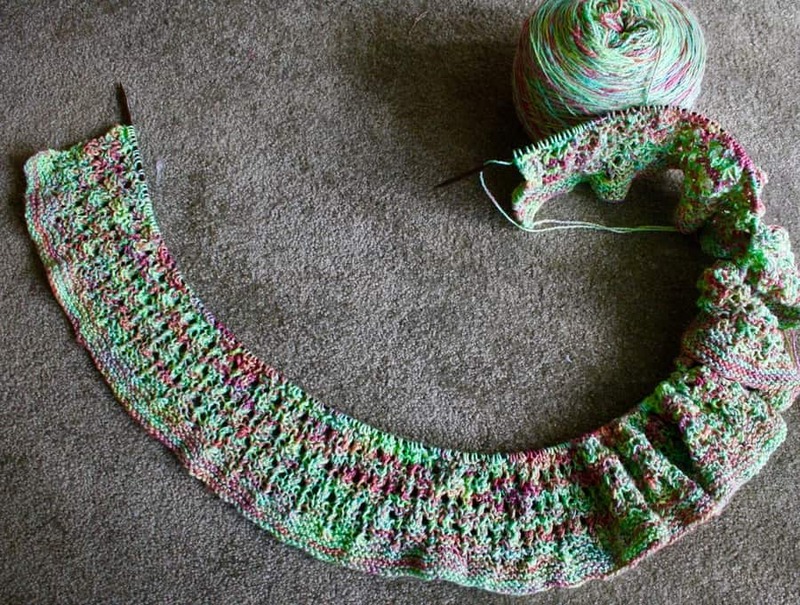 I also made some progress on the Tutti Frutti Stole. Not much, but some progress. This is two pattern repeats and I still don’t really know whether I don’t like this garment, or whether I just don’t like the colorway. Thanks for the heads up about the pattern. Trust your judgement so bought some wool last week and the pattern tonight. (I don’t usually work with chunky wool, more of a lace to double knitting and occasionally worsted weight yarn person.) Will now finish reading your blog and then start knitting the hat. Like the look of the new platform as it does look cleaner and it is easier to read without the coloured backgrounds. 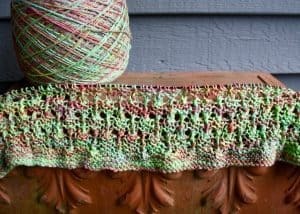 I usually prefer formulas or general tutorials over patterns – Knitting from the Top (Barbara Walker), EZ’s percentage system or anything EZ, Cat Bordhi’s sock books, and so forth. But, when knitting from a pattern, I like a good construction overview, schematics and charts so I can adapt if I want to. 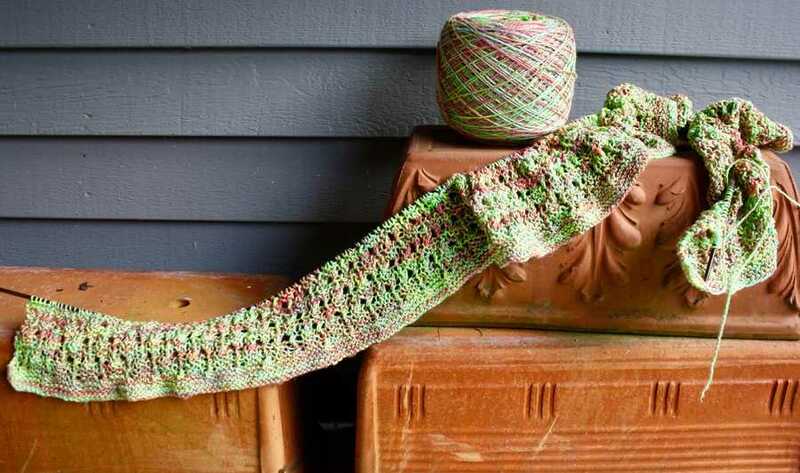 I won’t knit from a pattern that is only long strings of knitting instructions.